History a body of Christians serving Northern Utah, including Brigham City, Logan, Tremonton, and surrounding communities in Box Elder County and Cache County. The first meeting of what would become Aldersgate United Methodist Church took place on March 17, 1963. A group of Christians, most of them transplants who had moved to Utah to work at the then-new Thiokol plant, came together to explore the possibility of starting a new church. Several months later, the new church was chartered on May 24, 1963. This date was the 225th anniversary of John Wesley (the father of Methodism) having a conversion experience at a prayer meeting on Aldersgate Street in London, England. In honor of this anniversary, the new church was christened Aldersgate Methodist Church. Throughout the years, the church has had many different homes, including a house in the Lindsay Park neighborhood which now serves as the parsonage, the old sanctuary for the Corinne Methodist Episcopal Church, and sharing facilities with St. Michael's Episcopal Church. 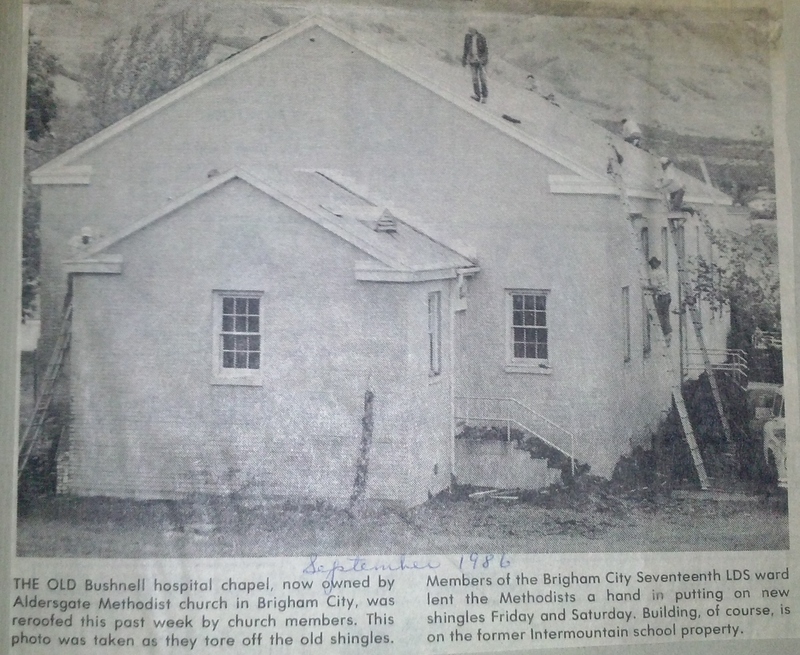 The church's current home was built as the chapel for the Bushnell Army Hospital, which operated from 1942 to 1946, and served as music classrooms for the Intermountain Indian School from 1950 to 1984. Aldersgate moved into this building in 1986, expanding it in the 1990's to include a social hall. 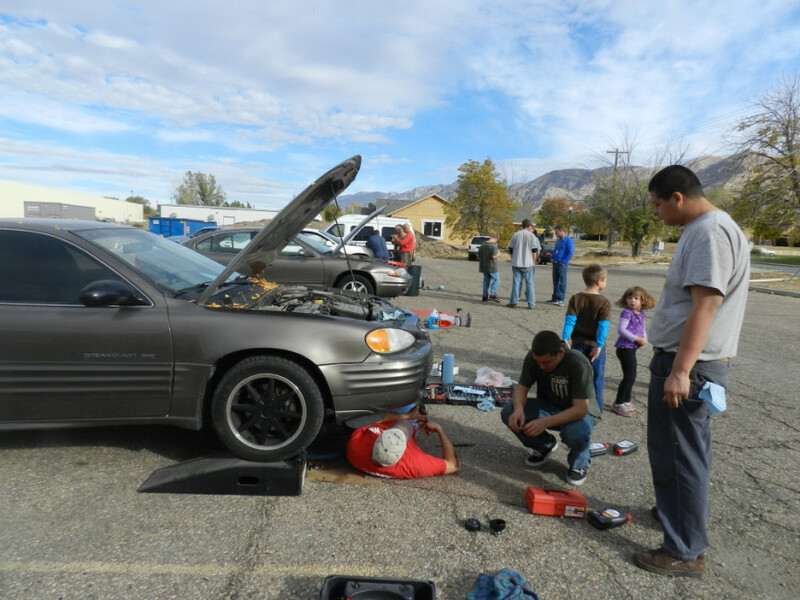 The church has seen many changes in the Box Elder community throughout the years, and many church members and faithful attendees have come and gone. Today, the church continues to represent a mixture of locals and transplants, some who come and worship at Aldersgate for a season, and some who have been part of the church family for decades. What has remained consistent, however, has been a steadfast commitment to Christ, and lives have continually been transformed by the Holy Spirit as God has used the Aldersgate community. We expect that the same God who has been faithful these past fifty years will continue to be faithful in the midst of the ongoing changes that shape Brigham City and the surrounding areas.